This was a large project for Canada’s largest independent seller of K-Cups. With over 500 products for sale and 8 retail locations this website manages a large inventory of products for sale coast to coast. The website was redesigned to ensure a family friendly easy to navigate environments while managing multiple level discount programs and delivery options to a wide range of customers. Built in WordPress with HTML5, Mobile Friendly and SEO Optimized. 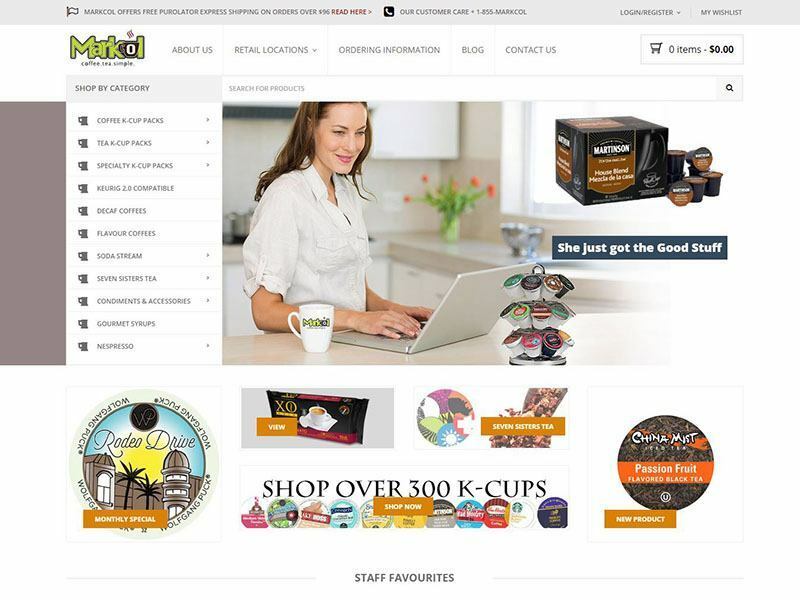 This site previously had little to no SEO value and we undertook a nation wide SEO program that has put them on page one of Google search results in most parts of Canada for the very competitive term “K-Cups”. This website was competed on time and within budget.